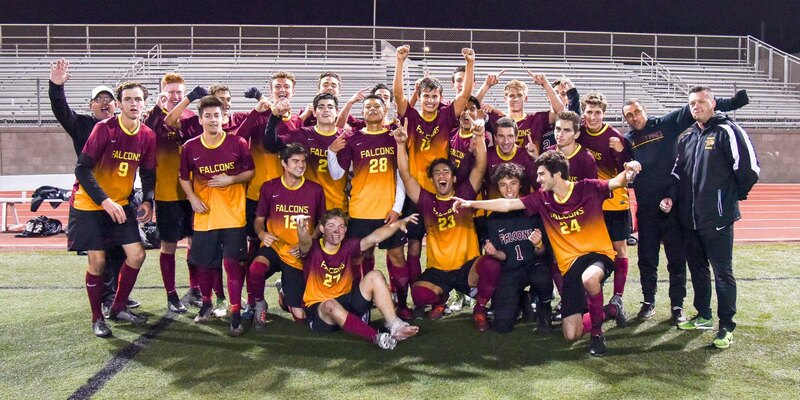 Over the years, the Torrey Pines Falcon teams have been synonymous with excellence in the classroom and on the playing field. Students trying out must have their District Athletic Forms turned in by the October 1st, 2018 deadline AND attend an All Sports Mandatory Annual District Athletic Meeting before they engage in a school sport. Parents MUST attend a mandatory parent meeting for the district as well. If you and your athlete already attended one of these this school year, it is good all year. However, if you and your athlete haven’t you each MUST attend the appropriate Athlete or Parent Meeting. TRYOUT FORM - *DOWNLOAD, FILL OUT AND BRING TO TRYOUTS!!! 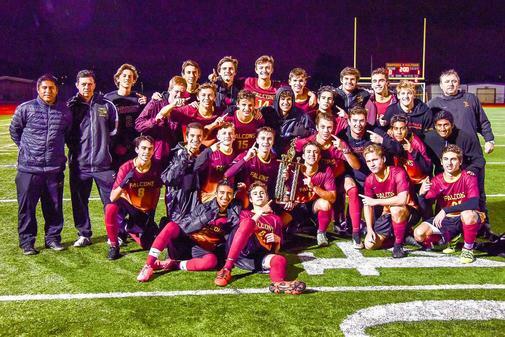 From 5-foot-5½ sophomore Jose Salgado to 6-3 senior Santiago Majewski, the Torrey Pines boys soccer team has been reaching great heights to open the season. Salgado scored two first-half goals and Majewski later came forward from his center back position to add another as the unbeaten Falcons topped El Toro 5-0 to reach the National Division final of the 23rd annual SoCal High School Classic tournament at Oceanside on Friday.